Custom dinosaur furniture inspired by t-rex fossils. A concept for a life-sized fiberglass recreation of a fossilized Tyrannosaurus Rex skull emerging from the rock of a uniquely themed desk or bar. We love the T-rex and wanted to come up with an idea for custom dinosaur furniture that would give folks a sense of adventure and harken to the action of the Jurassic Park series and other classic dinosaur movies! Designing unusual custom furniture and decor pieces like this t-rex desk or bar is just the sort of thing we like to create. 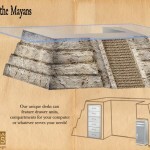 If we took this design from concept to reality, we’d build the piece as a foam carved prop. 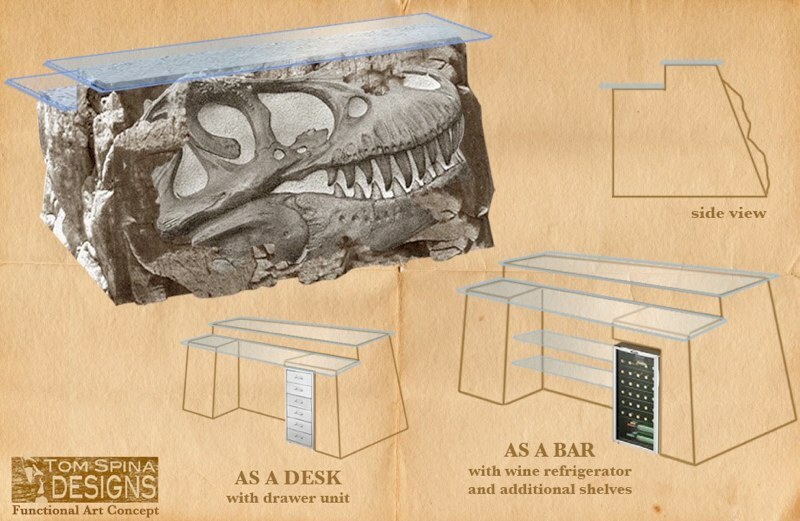 We’d carve the faux rock and dinosaur fossil skull, then hard coat the desk/bar for durability. From there, we’d add a custom two-layer glass top and space for a regenerator or series of file drawers (or both for the adventurous types!). We can take your favorite movie themes and custom sculpt something to make your home theater or office stand out! We can make desks and bars, coffee tables, custom seating or just interesting three-dimensional wall art. Whether it’s dinosaur furniture like this desk, or something more sci-fi, we can make movie themed props, custom furniture or characters for trade shows, photo-ops, home cinemas, marketing campaigns, offices or your museum or business! 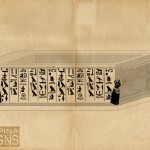 Looking for a one of a kind movie inspired piece of custom furniture? Email or call today and let’s discuss your project!